I would like to convert a Bluray disc that I made of home movies into a format I can put on my ipad but maintain the Hi-def. I am able to convert a DVD but the program does not seem to recognize the Bluray disc. Do I need to upgrade? Will the upgrade with BD convert the disc? When you made the blu ray, did you save an ISO file or the original video files/ Why don't you use those? You can try to rip the blu ray back to your computer. I have never tried it. 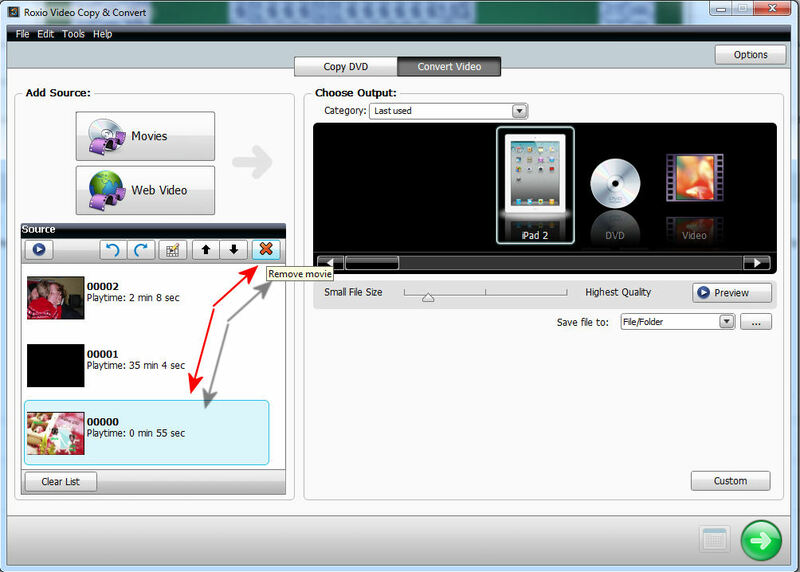 Did you look at the options in Video Copy and Convert? The Ipad will take 720 high definition video. I have Creator 2012 on my computer. I do have the original files but the final disc was heavily edited and has a slideshow. I did search the options but the disc does not seem to be recognized by Roxio. I am considering upgrading to NXT Pro but would like to know if it will do what I want. Thanks for you response. Give that a try and if VCC doesn't respond, try the same thing in VideoWave. I did try that but I have no audio. Video works fine. I also upgraded to NXT PRO and the same thing happens. How do I include audio? Thank you for your input. Post a link to the file download here. Do you want me to post a Stream file? I can make an iso file from the BD. is there a way to convert that iso file for iTunes? 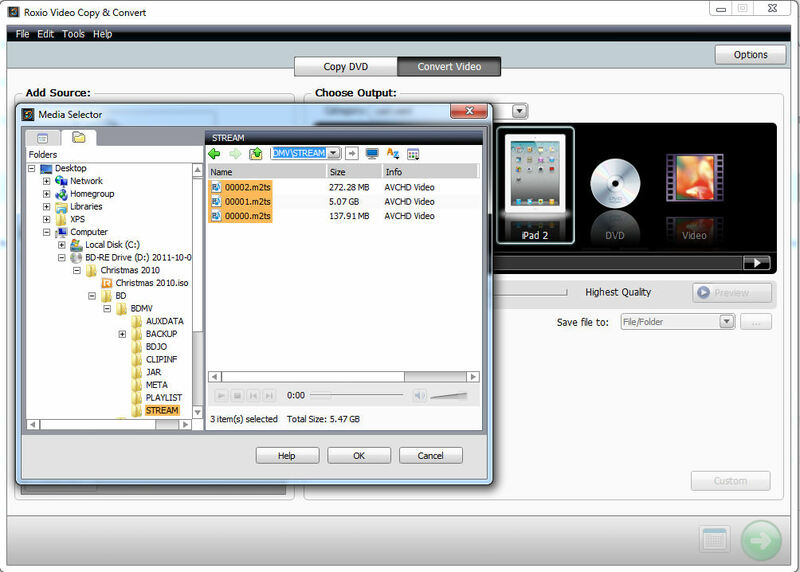 Add a stream file in videowave then cut/trim it down to a small file and output it, post it on upfordown. I imported the movie from the BD into Videowave. I then saved it and opened the converter and imported it into the converter and everything worked fine(converted to mp4). 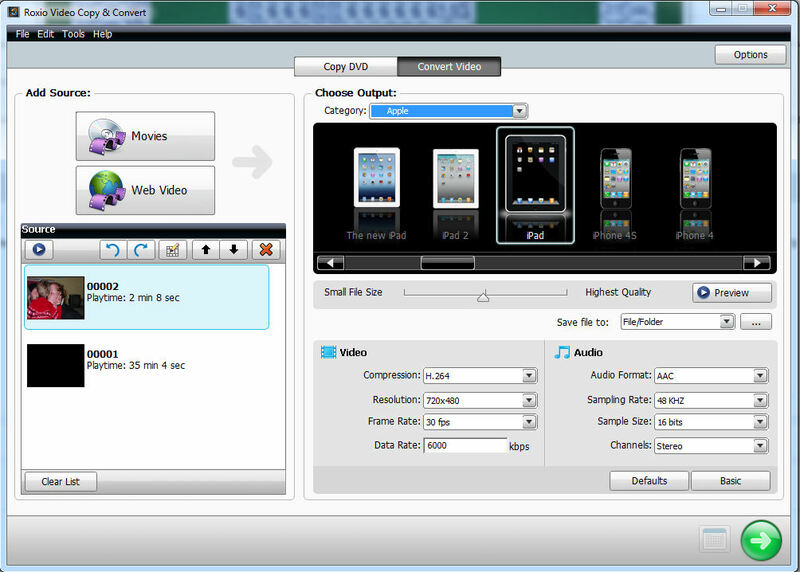 Somehow Videowave compiled the audio and video so the converter could use it. Thank you for help!